Florida Fresh Vending is pleased to work with our clients to provide healthy solutions that meet their wellness needs by offering the personalized Fit Pick™ program. 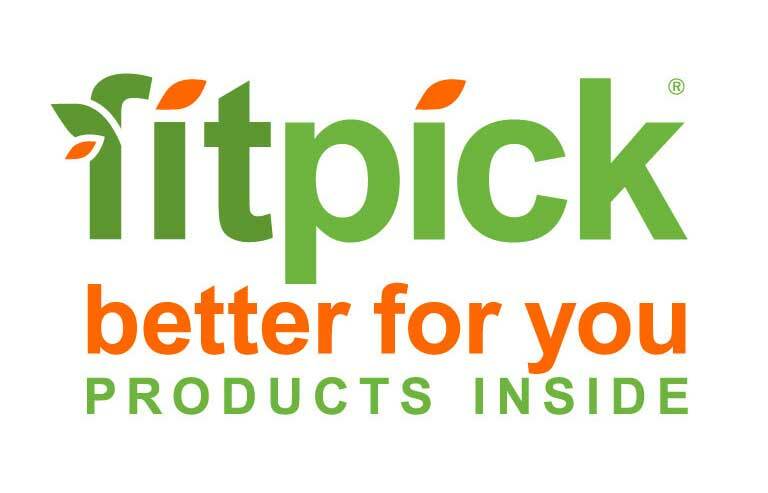 Fit Pick™ is an easy but effective healthy vending program that highlights nutritious and well balanced foods and drinks. The National Automatic Merchandising Association (NAMA) created the program to help schools and workplaces implement a program that identifies products that meet specific nutrition guidelines. Florida Fresh Vending employs Fit Pick™ to personalize a program specific for your work place or school, that meets your product preferences, as well as promotes your wellness and healthy lifestyle goals. Fit Pick™ is designed to help consumers determine which snacks, drinks and fresh foods are (at a minimum) lower in fat and sugar than traditionally vended products. Fit Pick™ provides a simple, ready-to-use, system of vending machine stickers that identify vended products which meet a standardized set of nutritional guidelines. Fit Pick™ nutritional criteria are based on the dietary recommendations of the American Heart Association, and the Alliance for a Healthier Generation Guidelines for Competitive Foods. Fit Pick™ utilizes attractive stickers to identify the slots in a vending machine that contain Fit Pick™ qualified snack products. Larger clings and stickers provide further details regarding Fit Pick™ nutritional criteria. Fit Pick™ labels represent two different categories of nutritional criteria. The most commonly selected criteria for adults is 35-10-35 (no more than 35% of total calories from fat; no more than 10% of calories from saturated fat; and no more than 35% of total product weight from sugar.) Fit Pick™ also offers stickers and clings for products that comply with The Alliance for a Healthier Generation Guidelines for Competitive Foods. Fit Pick™ provides a recognizable identification system that seamlessly crosses communities, county and state lines throughout the nation. Your offices in other states can adopt this same program. The Fit Pick™ program includes stickers that are placed in front of qualifying products, thin clings that explain the nutrition standard, coin slot stickers and round stickers. The Fit Pick™ program is flexible and can help in a variety of settings, and includes two different nutrition standards that can be implemented depending on your needs. Fit Pick™ 35-10-35 Standard: Identifies products with no more than 35% of their calories from fat, no more than 10% from saturated fat, an no more than 35% of the total weight from sugar (nuts and seeds excluded). Alliance for Healthier Generation Standard: Popular with schools, this standard begins with the 35-10-35 guidelines and then adds caps on sodium and calories. Florida Fresh Vending is committed to working with our clients to advance health and wellness awareness. Through the Fit Pick™ initiative, we help you create your own program that advances the health of your employees ensuring a brighter future for everyone. Top off your fuel tank several times a day with snacks; you’ll feel energized and satisfied throughout the day. Focus on fiber and protein. Choose cereal bars or granola bars with a little protein (check the Nutrition Facts) and some fiber to help keep you full longer. Pretzels or baked chips are a great low-fat, low-calorie way to satisfy the mid-day munchies. Choose fruits, vegetables and salads, pre-packaged and ready-to-eat. They are high on nutrition, crunchy, convenient, and great tasting. For a snack that is high in protein and calcium reach for a carton of low-fat milk or yogurt. It’s unrealistic to give up sweet treats if you really enjoy them. Like anything else, eat them “smartly” and in moderation. Craving cookies? Animal crackers, fig bars, pop tarts or graham crackers are great tasting lower fat choices. Pair these with low-fat milk, a protein-rich food, and you’ve satisfied that craving. Go nuts. Choose a package of peanuts, almonds, or other favorite nuts. They come packed with protein and fiber. Don’t confuse thirst with hunger. Keep a water bottle handy. Variety, balance and moderation are important when eating snacks.